shat says “celebration” better than popping corks? 12 great selections at a variety of price points, and where you can pick them up around the Twin Cities, too! 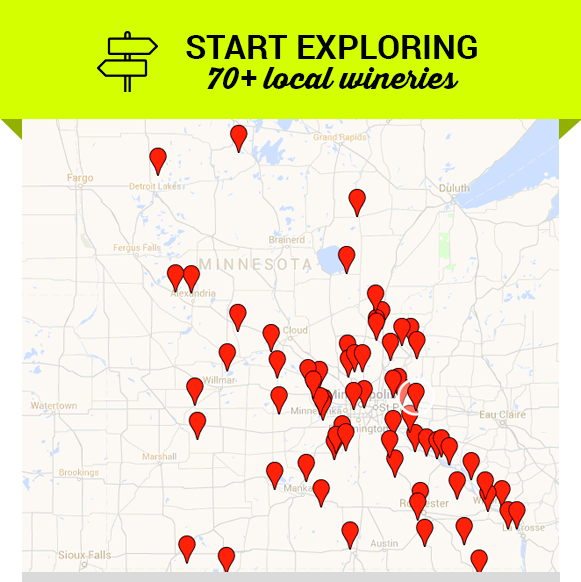 For just $25 you receive 10 wine tastings, at any of 48 regional wineries. Yes, math fans — that’s $2.50 per wine tasting. Order by 10pm Tuesday Dec 19 and you should still get it in your mailbox in time. Ordering after that? No problem. When you check out you can download a gift voucher that you can still wrap and give as a gift. Cooks of Crocus hill has THE best in all things culinary, from cookware to farm fresh crop shares, they have everything you need to stock your kitchen. Cooks also hosts a wide range of classes which make great dates, gifts, or for brushing up on your own skills! My favorite things about shopping with them? 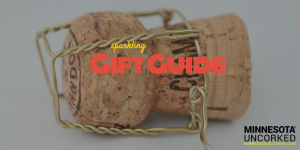 Their top-notch, knowledgeable staff and sublimely curated selection: no need to sift through 17 different types of whisks, they have 2 that are tried and true; and can guide you to the perfect one. Put a twist on your next gathering or dinner and invite Eddie to the party. Why? 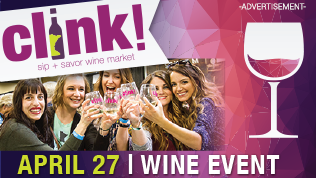 He’ll bring the wine — some learning, and lots of fun. A delightful storyteller and skillful wine educator, he’ll curate a selection of wines for your crowd and take you on a journey from vine to glass with lots of laughs along the way. Featuring 1,200 acres of natural beauty, talented instructors, inspiring subject matter, and fun social connections, the Arboretum team invites you to learn and experience something new this season. 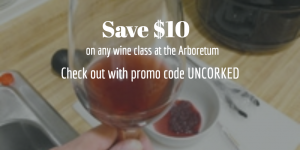 There are so many wonderful classes available I can’t begin to highlight them all, so start by giving a peek here where you can save $10 on any wine class with promo code UNCORKED. I’ll be taking Drew Horton’s home wine-making class in March and hope to see you there! Not sure which class to give? Grab a gift card in any denomination, or give the gift of an Arboretum membership. Minneapolis-based sommelier Leslee Miller launched Sip Better Wine Club this year with one goal in mind: personalized selections, provided personally. You can gift the initial tasting kit ($54-61) which includes three selections. There’s no further commitment and the recipient can decide if they want to re-order, and how much (no magically recurring shipments and charges here). What I love about it? Access to the site is free once your order an initial tasting kit — and, has videos telling you about all the wines. Sip & learn with Leslee! I saw this on Shark Tank and fell in love. A beautiful, useful object — this one hit all my high points! It’s beyond me that this wasn’t one of the picks for the investors of Shark Tank, and thus not widely marketed. 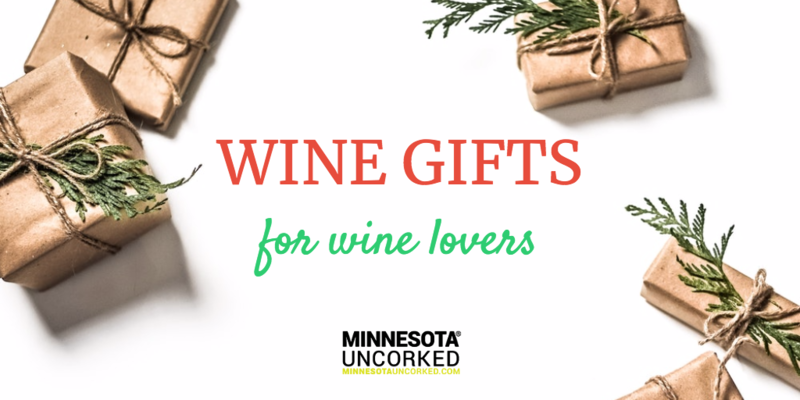 There’s a really good chance the wine-lover on your list doesn’t have this one! 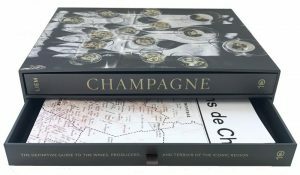 This beautiful boxed set comes with an incredible book and comprehensive maps of producers and terroirs of the Champagne region. Just released October, 2017 there’s a chance this isn’t in every oenophile’s library, yet. If you missed my experiment on wine oxidation and preservation methods, you can catch up here. The frontrunner was the Private Preserve Wine Preservation System, which works by blanketing the wine with a layer of gas that slows the aging process and keeps wine fresher longer. $9.75 for a can (good for about 120 uses) from Private Preserve up on Amazon. What’s on your wish list this year? I’d love to know – let me know in comments!